VibrAlign, Inc., US distributor of Fixturlaser and Hog Brand shaft alignment systems, is proud to announce that the new Fixturlaser NXA Pro was selected by Plant Engineering Magazine to receive the 2013 Bronze Product of the Year award in the Maintenance Tools & Equipment category. The Fixturlaser NXA laser alignment system features many innovations in shaft alignment, including the first use of gyroscopes, improved power management with extended battery life, a new display unit with a 6.5inch touch screen with video game style realistic graphics, and includes a completely redesigned set of super slim transmitter/detectors. The award...showcases Fixturlaser’s innovative design and manufacturing capabilities. The Fixturlaser NXA laser shaft alignment system and its U.S. distributor VibrAlign have been named the Bronze 2013 Product of the Year in the Maintenance Tools and Equipment category. 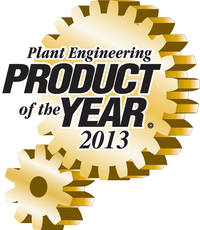 The NXA won out over other nominees based on voting by readers of Plant Engineering magazine. Fixturlaser and VibrAlign have previously won Product of the Year Gold awards in 1992 (CombiLaser) and in 1998 (V180), a Silver award in 2008 (Fixturlaser GO), a Bronze award in 2006 (Fixturlaser XA), as well as being nominated as a Finalist for the XA Upad in 2010. The new Fixturlaser NXA Pro was designed to give alignment practitioners greater ease of use, long battery life to get them through the work day, and a screen display that can change in real time to always show the machine being aligned from the same viewing angle as seen by the operator. No other laser alignment system can do this. Plant Engineering Magazine organizes the annual Product of the Year competition to recognize the best new industrial products available in the United States. This year Plant Engineering celebrates its 26th anniversary of the Product of the Year award program. For more than a quarter-century, Plant Engineering’s readers have selected the outstanding new products that help them do their jobs smarter, safer, more efficiently and more productively.